When it comes to quality espresso driven coffee, the importance of a well-trained barista can’t be overstated! The barista makes a substantial difference to the results in the cup. It is just as important as quality fresh coffee and good quality equipment. Our fully qualified barista trainers can help set you apart from the competition and keep your customers coming back for more. 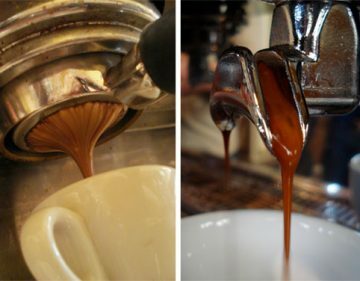 An introduction to coffee and coffee equipment, our basic training course teaches you everything you need to get going. All are welcome in this relaxed and informal session for beginners to the coffee world. We understand starting out in coffee can seem intimidating. However, this class offers a comprehensive introduction to all the basic skills you will need. Knowing your way around an espresso machine and grinder is an important first step. The course begins with an introduction to espresso machines and how they work. Moving on to the drinks included in a coffee menu and getting to grips with extracting great tasting espresso. Our training sessions take place in and around our Roastery so you will have the opportunity to see first hand the roasting process from green bean to final product. 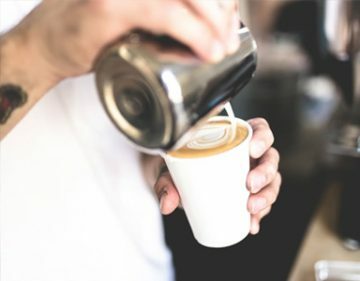 Finally we focus on the technique of steaming and texturing milk to finish off the perfect latte or cappuccino with plenty of time to practice independently on one of our Britesso machines. Participants must have foundation knowledge and have experience of making coffee. 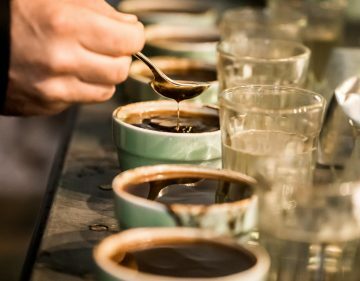 A full day designed for any passionate coffee enthusiast or coffee industry worker who wants to delve deeper into the coffee world to improve their knowledge and skills. Beginning in the morning with a session on green bean processing, origin, flavor profile and an introduction to cupping and sensory evaluation. After lunch the focus will shift to work flow and efficiency behind the counter continuing on to the dialing in and monitoring of extraction for consitency and an exploring of the variables and the effects they have on brewing espresso. The day ends with a session on texturising milk and latte art technique, looking at how to achieve perfect micro foam in order to pour a perfect drink.